We do hope you liked our brand new graphic design, as we posted about a couple of days ago. You can read more about it here. Now it´s even animated and like a process video of one of the art works you can see the flower grow from a seed to a full bloom. Please share it if you like it. 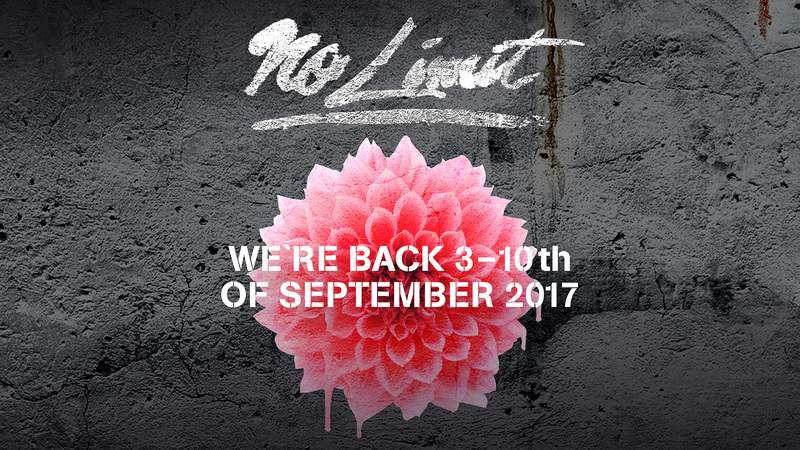 No Limit Street art is back September 3-10 of September. For each year we´ve developed the graphic design for the festival. Here´s the design for the 2017 festival and a short quote from our graphic designer, Rolf Weinemo. ”The fact that No Limit has meant that a grey wall or an empty space turns into a flourishing zone of colour, vitality and inspiration is something that I wanted to capture in the communication of No Limit 2017. These pieces of art has found their right spots in the city and in our hearts.